I have had many blogger ask me to explain how to embed a Mp3 player into their blog, as they would like to expose their music by creating a playlist of their music. Other bloggers need a way to have a welcome voice over on their webpages and blogs. 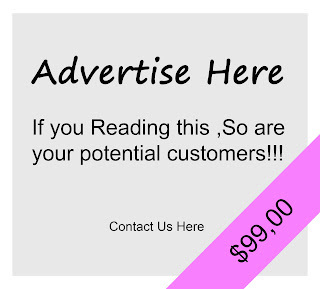 However this is not advised as most people dont like any voice over on a webpage, its not good business ethics and can alarm other people around you. However i feel if you trying to promote yourself and expose yourself on a blog, then this is the best way to create a mp3 virtual player to your blog. 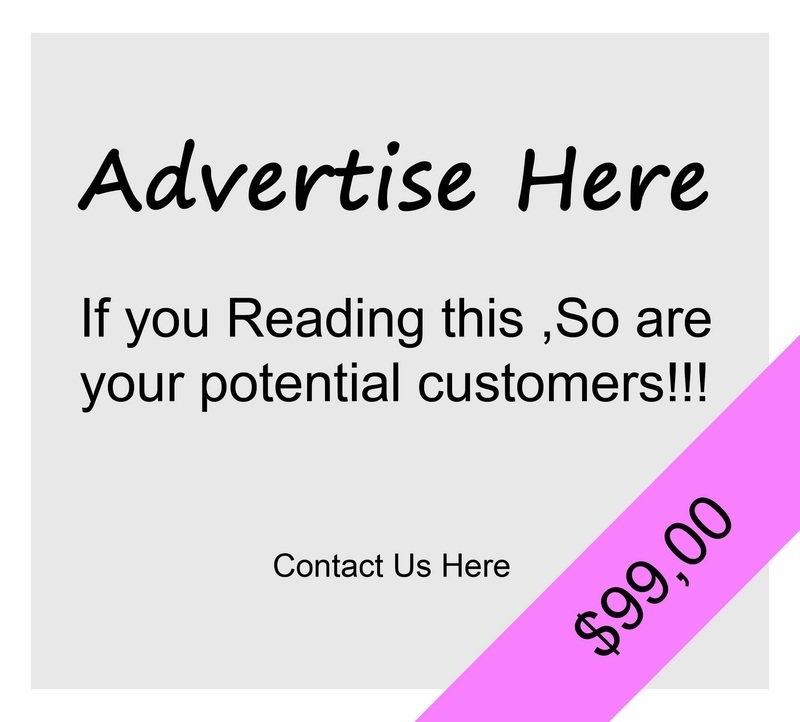 If you have a mp3 review site then this could also assist you in your task. Note: I do not own this music TKO and Beezy-b have rights to this music, They are unsigned artists seeking exposure. Ive used their music as a model to explain how this flash player for blogger works. Floating widget Mp3 player- i used this widget code to play a voice over on iclickmate home page. view the home page if you need to see this widget in effect. I dont advise on over using it. So how do we get the HTML code for an Mp3 player in blogger like the one above. Step 1: go to/ they host free mp3's that you can upload and get a direct link to use in your widget. Upload the Mp3 you want to use, please note that you should only upload your own music, if its a popular song, then chances are you can find the direct link on the internet, no need to upload. 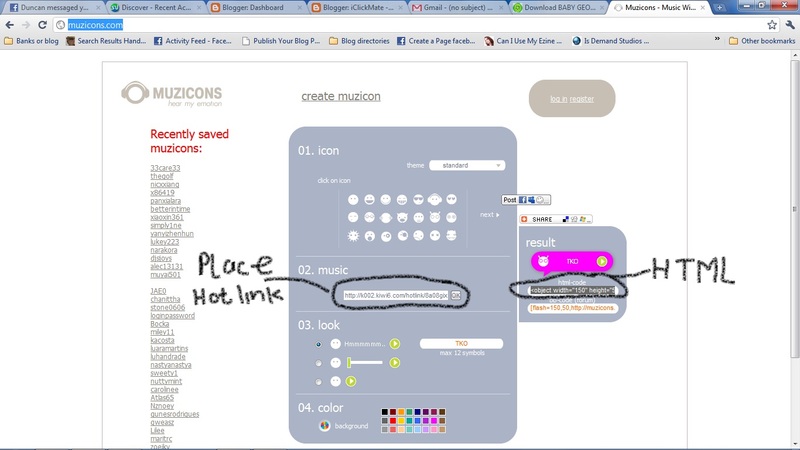 Step 2: obtain your "hotlink" from Kiwi6.com and go to http://muzicons.com/. 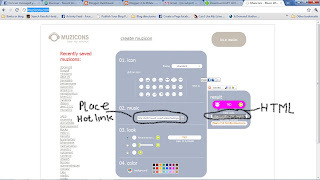 Here you will need to place the "hotlink" from kiwi6.com into "Music" then click ok. You may change the picture of the muzicon if you like, aswel as the colour of the music. You are able to change the player layout, so you can use a word or a timeline for the player. Once you have configured the muzicon you must copy the HTML code and and paste it into your blogger post. 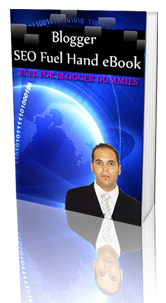 At the top of new blogger post you will see "compose and Edit HTML" choose edit HTML and place the code where needed. Step 3: Save and close, now test it. How to get HTML code for this Mp3 player in flash. Step 1: go to http://kiwi6.com and upload the file you want, MP3 file and obtain a hotlink from the upolad. Step 2: copy this code below, notice the letters in PINK re the once you should replace with the hotlink. Step 3: Save and close, you are now able to hear the music thats directly hotlinked to your best Mp3 host.